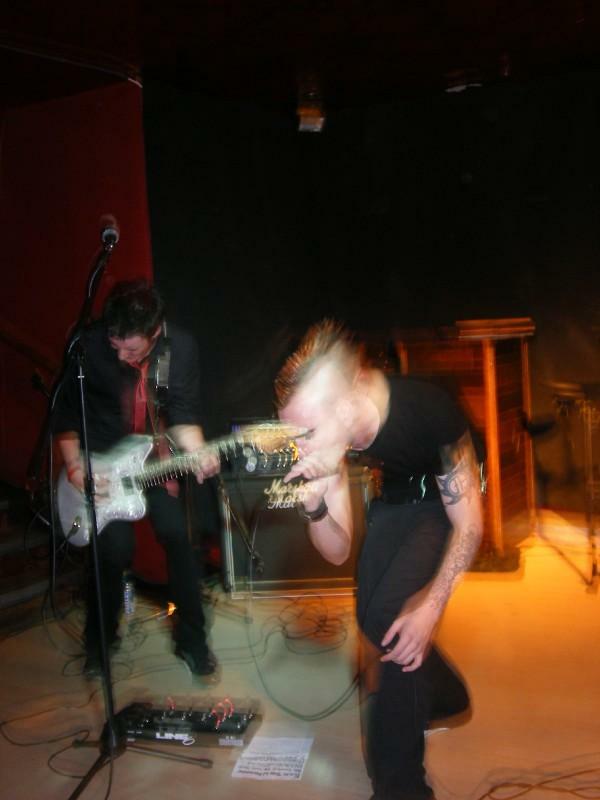 Newcastle-Upon-Tyne three-piece Death By Electro Giants make raw and hard-hitting Industrial metal. 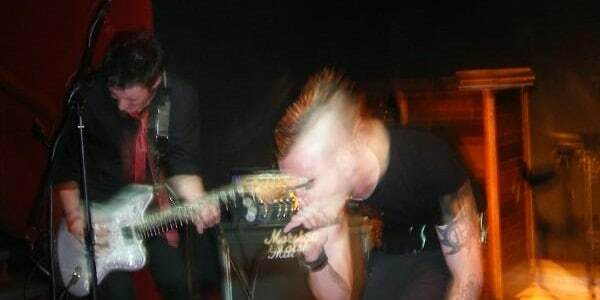 We spoke to vocalist Stephen X Ordinaire just after the band announced a return to the scene following a brief hiatus, about their future and the future of the Industrial scene in the North. S] Does your hometown of Newcastle play a part in your creative process? Steven X Ordinaire] Probably not aesthetically. However, I think there have been social elements that I’ve used lyrically with regards to growing up and living here. I also think that being so unique in the scene and standing apart from what other bands are doing or what they think are musically normal ideas (for instance so many people can’t understand why we don’t have a drummer and use pre-programmed drums & sounds), I think that gives us a drive to keep on being different. S] You went on a hiatus and have since returned, tell us a little about why you wanted to come back? Steven X Ordinaire] I was bullied into it! Seriously though I needed a break from gigging and music. After ten years in various bands and without a break I felt I needed a rest and to not think about music. I actually enjoyed just listening and catching up with what other bands were doing and not thinking about my own music. My associate Mr Thujone persisted with asking me to return, and eventually having felt mentally refreshed (and with my liver having a much needed break) the time was right to get things going again. S] What do you think of the industrial and alternative scene in the North of England? Steven X Ordinaire] It’s healthy at the moment I think. There are a lot of bands around with an ‘electronic’ edge to them but aren’t necessarily ‘industrial,’ though. Newcastle’s best industrial night ‘Tech Noir,’ is always busy and attracts a lot of people on a monthly basis. Feral- one of the founders and DJ’s of ‘Tech Noir,’ has always been a supporter of Death By Electro Giants and we played at the opening night in 2007. Steven X Ordinaire] See where we can take things. Record some new material with our new bass player Chris Deadlock, get some interesting & unique promo ideas going and we’re booked to play at The Amalgamation industrial punk festival in Leeds in November! S] How would you like the world to end? Steven X Ordinaire] Both myself and Thujone have a bit of an obsession with all things ‘War of the Worlds,’ (which is where the band name came from) so I would love to see huge tripods marching through the country blowing things up. Preferably the first thing they would do would be to vaporise Jeff Wayne for making that ridiculous live version of his brilliant album. 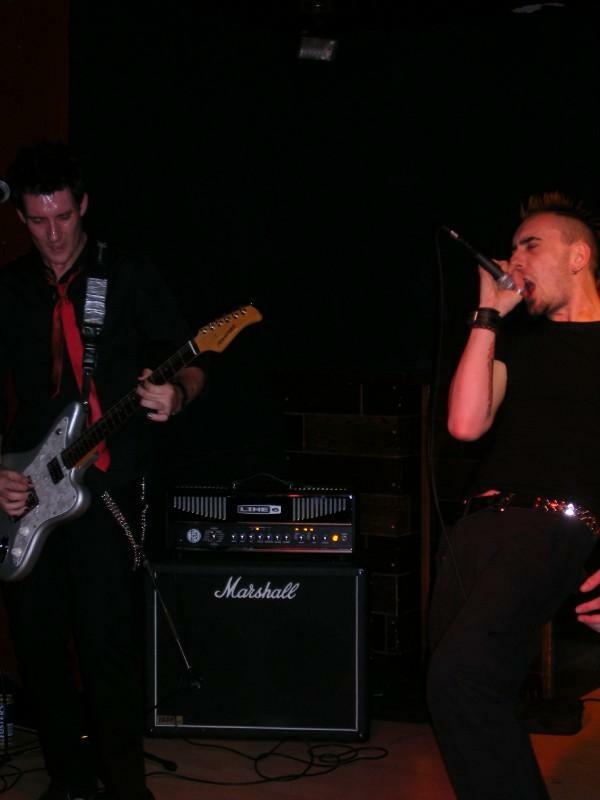 S] Angelspit namechecked you to us as a standout act on the UK scene – do you think you will work with them in the future? Steven X Ordinaire] Certainly we’d love to play with them again! As well as being amazing live they we’re both good crack too, although I may have come off a little strange as I was running around wearing my girlfriends pink bra! S] Will the Death By Electro Giants concept and band be expanding visually this year – will there be a bigger live show and the incorporation of some video in the future? Steven X Ordinaire] It’s something we’ve always talked about. With the right money I think we’d put together some really good visuals. We’re in the process of making a DVD montage of classic sci-fi film clips and aiming to play at venues that already have visual capabilities. S] Will you be working on new material, what themes will you be drawing upon? Steven X Ordinaire] Yeah we’ve already got a few things that are work in progress. I’m trying to keep things lyrically catchy and drawing on both personal and cultural themes. We’ve also got a few songs that you wouldn’t expect us to cover that we’d like to chop up and make our own!